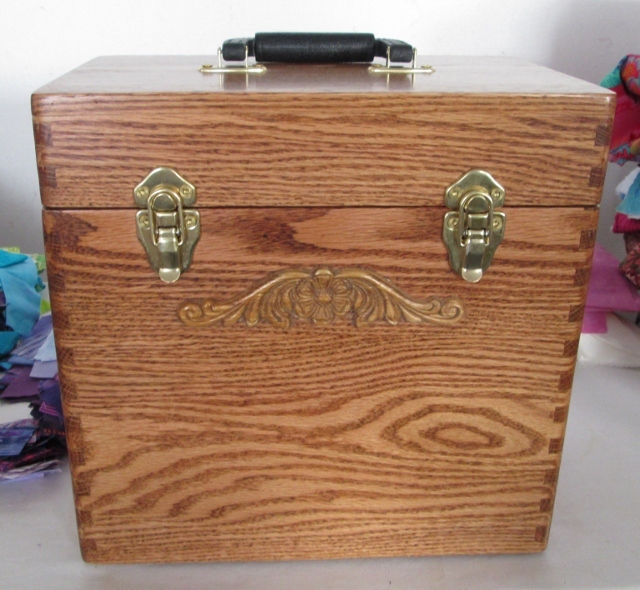 My Dear Dad finished my new oak Sewing machine case this week. 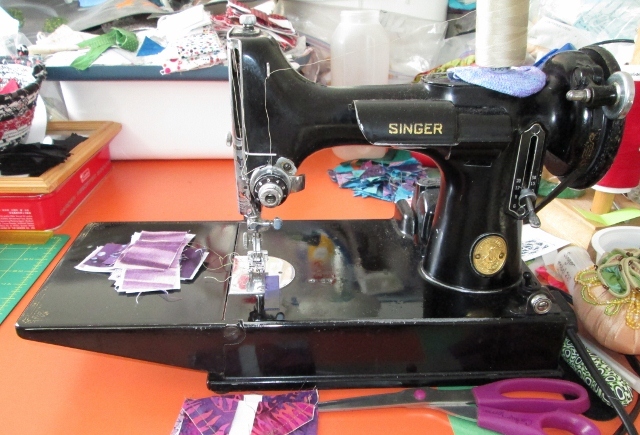 It is for my featherweight sewing machine. I had a case but was in bad shape and the buckles were both broken and you had to hug it to carry it. The old case did not have a tray. Dad was able to make a new tray for the case. You can see we added a strip of magnet so the bobbins do not roll around and bounce out. It just all fits so perfectly. Dad also got brass plates made with my name and phone number. He added a brass plate with Spring Ridge Creations - the name of his wood shop. I am using my featherweight this week to sew some purple scraps. I will be making a post on Saturday about all the purple scraps I have used up this week. I have some spool bits ready to sew. 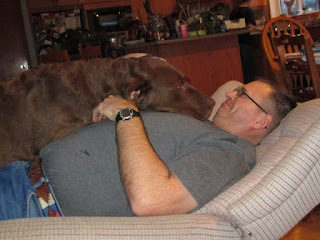 Mr Lex was trying to be a lap dog and stealing kisses this week. He is a little big for a lap. Such a beautiful case, Cathy! 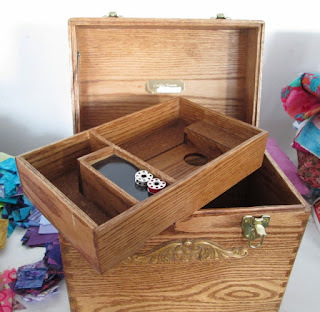 In light of Bonnie's recent post about decoupage to restore old cases...well...I hope you don't mind that I shared your blog link with her so she can see what a beauty your dad made for you! 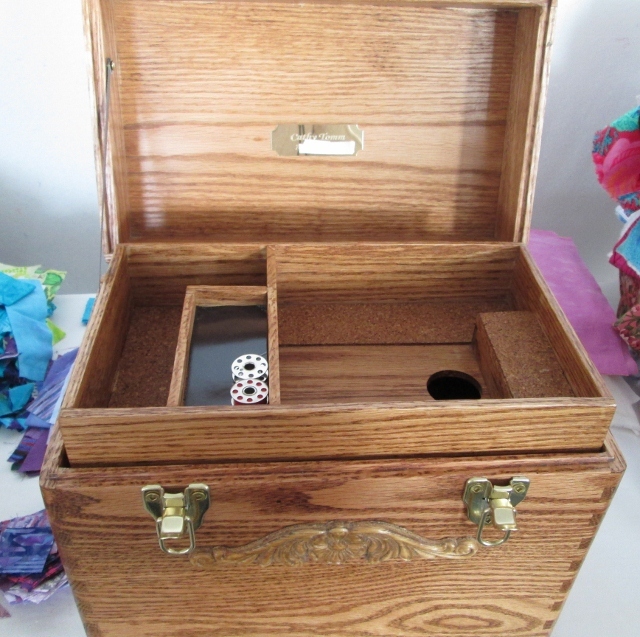 Wow, love the new quarters for your featherweight! What a good dad! Such a lovely job! What a great case for your featherweight- it is a real beauty. Your family is filled with many talented people. I love the workmanship. 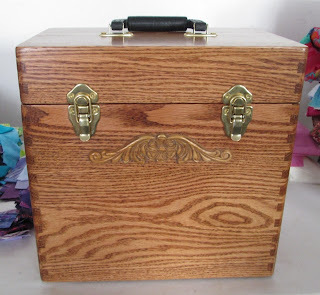 If it was a case my dad made, I would think lovely thoughts each time I had the case and machine out. 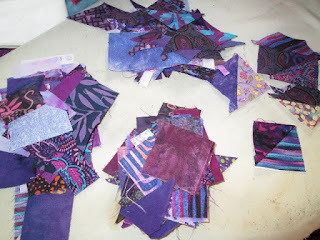 Love the purple scraps- I started a purple and black quilt this evening. Wow! I am so impressed with your Featherweight case! Beautiful case. And what a cute doggy! My kids wants a puppy but they are so much work huh? Case is beyond words! Color me green-for jealous! Your are very blessed to have your dad still with you and able to do such fine craftmanship! Wow! That is a beauty. I love to see real craftmanship. thanks for sharing. Oh my - your dad is just as talented as you are!!! Lovely case for your featherweight! Mine is useless too - the buckles are broken and it has been banged around so much it looks terrible. I keep it in the attic!